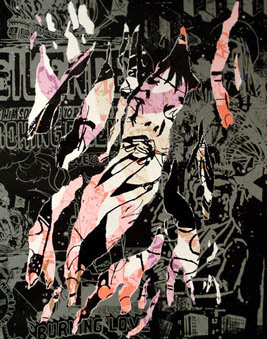 We love the work New York based artisits Faile are creating at the moment. The work they installed at the Woostercollective Spring Street project in New York last year was fantastic. We are delighted to see that Lazarides Gallery in Soho's next exhibition will be a solo show by Faile. The dates are as follows Fri 09th of March - Sat 07th of April. More info when we have it. Gonna be fresh.